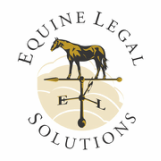 At Equine Legal Solutions, we receive lots of calls from unhappy horse buyers inquiring about their legal rights. Most of the time, these are individual transactions between amateur owner sellers and amateur owner buyers. The buyer's unhappiness isn't due to the seller's blatant dishonesty or unfair dealing. If the buyer complains of behavioral issues, it often turns out that the buyer didn't try out the horse thoroughly before buying it. If the buyer complains of unsoundness or other physical problems, the buyer didn't typically have a veterinary prepurchase examination. The seller is often just as surprised as the buyer to find out that the horse has some issues. But there are other, much less innocent horse sale situations. Some horse sellers make their living preying on the goodwill of unsuspecting horse buyers. They knowingly misrepresent horses and actively mislead buyers. The buyer ends up with an unwanted horse and a lighter wallet, and the seller profits. The duped horse buyers' stories all start the same way. They buyer found the horse on a popular Internet horse sale site, such as Dreamhorse. The horse was far enough away and the price was low enough that it didn't seem practical to go see the horse in person before buying. Instead, the buyer relied on the glowing descriptions and attractive photos provided by the seller. Sometimes, the seller even provided the buyer with videos. Usually, the professional look of seller's website and its glowing testimonials from happy buyers reassured the buyer about buying a horse sight unseen. The seller gave every appearance of having a long-standing, reputable business selling quality horses. Often, the seller even provided the buyer with a bill of sale or horse sale contract. So, the buyer agreed to purchase the horse and paid with a cashier's check or wire transfer. The buyer arranged (at their own expense, naturally) to have a commercial shipper pick up the horse and deliver it to the buyer. Weeks later, a horse arrived and the buyer's nightmare began. Bait and switch is a classic unscrupulous sales tactic in which a seller lures buyers by advertising an attractive item at a bargain price. But the seller has no real intention of selling the buyer the advertised item. Instead, the seller sells the buyer a different item that is inferior in quality and/or higher in price. Some horse sellers employ bait and switch to great effect. Typically, the seller delivers the actual horse that was advertised. But, on arrival, the horse doesn't match the advertisement. Usually, the mismatch is something that wouldn't be obvious to the buyer without seeing the horse in person. Maybe the horse was advertised as being 16 hands and he is really 15 hands on a tall day. Possibly, he is really 17 years old instead of 12. In a more nefarious spin on the bait and switch scheme, the seller delivers a completely different horse than the advertised horse. One San Diego area woman had a small herd of attractive horses that she would photograph and advertise for sale. When she had a buyer for one of the horses, she would go to her local feedlot auction and buy a horse that looked similar, then put the auction horse on the truck for delivery to the buyer. When this scheme got to be too much trouble, she simply failed to deliver a horse at all. How do the sellers get away with these schemes? Simply put, they're smart. The sellers target horse buyers who are inexperienced and unlikely to be working with a trainer. They target buyers with a modest budget who are looking for a good "everyday" horse, not a registered show horse with specialized training. Often, the buyers are looking for their first horse. The horses are relatively inexpensive, so buyers are more likely to act on impulse. When the buyer receives the horse and is dissatisfied, the buyer contacts the seller. Usually, the seller completely ignores the buyer, and doesn't answer email or phone calls. Sometimes, the seller does respond. Often, the seller believes in "the best defense is a good offense" and firmly declares there's nothing wrong with the horse, acting miffed that the buyer has dared to impugn their good reputation, even threatening to sue the buyer for defamation. Less often, the seller will appear sympathetic and generously offer to take the horse back and either trade it for another horse or resell it for the buyer. Of course, when the buyer considers the shipping costs and other expenses, the seller's offer doesn't seem so generous after all. Isn't the seller committing a crime? Can't law enforcement help these wronged horse buyers? While the seller may be technically committing criminal fraud, law enforcement is typically unwilling to become involved because they consider the situation to be a civil dispute and the amount of money involved is relatively small. But, because law enforcement will typically investigate a particular horse seller if they receive an unusually high number of complaints, the unhappy horse buyer who suspects fraud should file a police report in the seller's local area (which can be done by telephone) and in the buyer's local area. When the buyer takes time to look closely at any sale contract they signed, they usually discover it says the horse was sold "as is" and/or it doesn't contain any of the representations the seller made about the horse. So, the buyer often walks away, thinking they don't have a legal case against the seller. Often, the buyer does in fact have a viable legal case against the seller, despite what the seller's contract may say. However, bringing that legal case to justice is typically impractical. Usually, the horse sale price is low enough that the matter can be heard in small claims court. But small claims courts have very limited powers, and while they can award money damages, they can't usually issue an order requiring the seller to take the horse back. In regular civil court, the buyer can seek the remedy of rescission, which would put buyer and seller back where they started as though the sale had never happened. But, the buyer will need to hire an attorney to represent them, and the cost of hiring an attorney is usually much more than the price of the horse, so suing the seller in regular civil court isn't usually a viable option for the buyer. Even if the buyer has the time, energy and resources to pursue the seller in court, this option is often still impractical. Because the buyer's agent, the shipper, picked up the horse at the seller's facility, the most appropriate venue for a lawsuit is usually the seller's location, not the buyer's location. The buyer could try to sue in the buyer's location, but especially in small claims court, the seller may be able to raise a successful defense that the buyer's local court has no jurisdiction over the seller. The buyer is then often forced to refile the case in the seller's location. In small claims court, the buyer must personally appear to plead their case, which means the buyer has to travel to court in the seller's location. In regular civil court, the buyer will have to hire local counsel and also travel to the court in the seller's location. Meanwhile, the buyer still has the unwanted horse, which costs the buyer money to board, feed, shoe, and vaccinate. What about self-help? Can the buyer simply return the horse to the seller? Unless the seller agrees to accept delivery of the horse, no reputable commercial horse shipper will be willing to transport the horse. Even if the buyer transports the horse, there are two big obstacles to this approach. First and foremost, the buyer often doesn't have a good physical address for the seller. The seller may have a bogus address on their website, or have given the buyer a PO box rather than a street address. And even if the buyer has a street address for the seller, the buyer might drive cross-country with the unwanted horse in tow, only to find out that the street address is not a horse facility, or that the seller has conveniently moved. Even if the buyer can find the seller and the seller has a horse facility, the buyer takes a real risk by simply dumping the unwanted horse on the seller's property. The buyer usually has to trespass to accomplish the drop-off, which could result in an unwanted encounter with law enforcement, or worse, the wrong end of a shotgun. If law enforcement does respond, they will generally refuse to let the buyer drop off the horse, and the buyer is forced to load up the horse and head home, having made a long trip for nothing. Perhaps even more significant, if the buyer dumps the horse back on the seller, the seller will have a legal claim against the buyer for board and care of the horse, because the sale was completed and therefore the horse belongs to the buyer, not the seller. And these costs may quickly eclipse the purchase price of the horse, especially because the seller is now in control of the horse's expenses. Even if the buyer mounts a successful legal case against the seller and obtains a judgment, enforcing the judgment is another matter. The purchase price paid by the seller is long gone. The seller is often an accomplished deadbeat, with no assets to seize. The seller doesn't have a job (other than ripping off horse buyers), so there are no wages to garnish. And the bank account to which the buyer wired the horse purchase price is generally closed. The end of the duped horse buyer story is typically frustrating, inspiring little faith in our justice system. The seller gets the money, and the buyer is stuck with the unwanted horse. Sometimes, the outcome is even worse. In some instances, the horse has such severe health problems that it must be euthanized, a painful and expensive proposition for the buyer. Or, the unwanted horse carries Strangles or some other contagious disease and spreads it to other horses in the buyer's barn. The best thing that an unhappy horse buyer can do is to help others avoid the same fate. If the buyer found the horse through an ad on a horse sale website, they should contact the site administrator and inform them of the problem. If the website administrator receives enough complaints about a particular seller, they may shut down the seller's account. As discussed above, the buyer should file a report with local law enforcement, both in the buyer's area and in the seller's area. While filing a complaint with the Better Business Bureau is unlikely to yield results for the buyer because horse sellers are rarely BBB members, it may accomplish the goal of creating a record that a complaint was filed, just in case any other prospective buyer checks out the seller's reputation. Perhaps most importantly, the buyer should tell their story, being careful to stick to the facts (why this isn't defamation).